Treat yourself to a full body detox from the inside out with our powerful but gentle blend of extracts and powders. 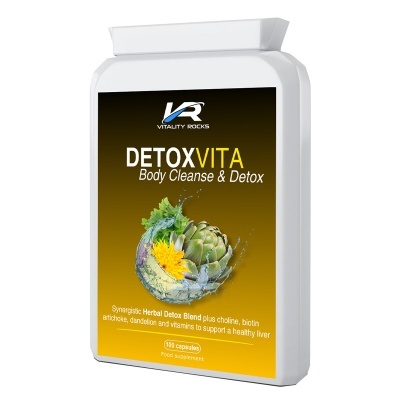 DetoxVita is a powerful combination of herbal extracts plus vitamins, choline, biotin and amino acid to support the liver and detoxifying systems of the body. Periods of over-indulgence can take it's toll and DetoxVita can help cleanse a congested liver and gallbladder and support cell repair and protection. Formulated to flush, cleanse, stimulate and protect the liver and gallbladder in order to support a natural detox process for your body. 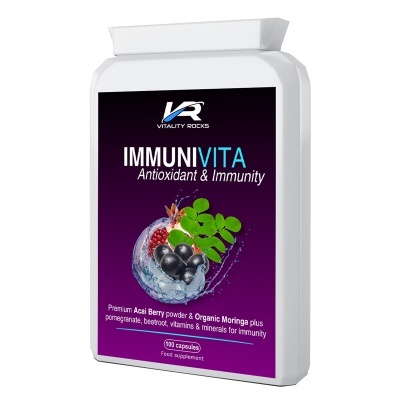 Vitality Rocks DetoxVita is a carefully blended formulation and each capsule contains only those ingredients which are beneficial to the health of the body's detoxifying organs. Choline, a water soluble vitamin that is manufactured by the liver and also available via some foods. A diet lacking in choline can lead to a fatty liver and liver and muscle damage. Biotin, a water soluble B vitamin (B7) previously known as co-enzyme R or Vitamin H. This vitamin contributes to a normal energy-yielding metabolism, functioning of the nervous system, macronutrient metabolism, psychological function, hair and skin and also normal mucous membranes. As well as vital vitamins, our body detoxification formula contains a proprietory herbal blend that contributes to a 'clean body' feel and includes Artichoke extract, extracts and powders of Garlic, Parsley Leaf, Burdock Root, Beetroot, Liquorice Root, Fennel Seed, Ginger Root, Cayenne, Dandelion Root and Turmeric. 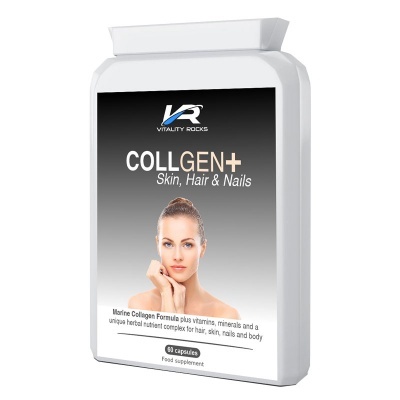 On top of all that, we've blended in the powerful anti-oxidant Alpha Lipoic Acid (ALA) and N-Acetyl L-Cysteine to produce our unique de-toxification formula that is encapsulated in easy to swallow capsules for convenient dosage. Discover why DetoxVita supplement offers so many more benefits in a convenient, easy to take capsule form. 1 capsule to be taken 1 - 3 times per day or as advised by a health practitioner. 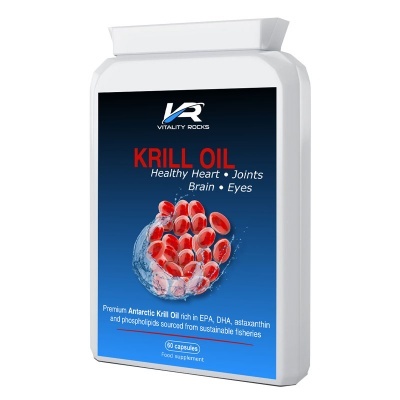 Choline Bitartrate; Artichoke Extract (25:1); Vegetarian Capsules Shell (Hydroxypropyl Methylcellulose); Garlic Extract (10;000); Burdock Root Extract (4:1); Parsley Extract (4:1) (Maltodextrin, Parsley Extract); N-Acetyl L- Cysteine; Beetroot Extract; Liquorice Root Extract (4:1); Anti-caking Agent: Magnesium Stearate (vegetable source); Alpha Lipoic Acid; Beetroot Extract (10:1); Fennel Seed Extract (4:1); Turmeric Extract (10:1); Ginger Root Powder; Cayenne Extract (7:1); Dandelion Root Extract (5:1); Vitamin B7 D-Biotin.